The final draft of the 2017 National Defense Authorization Act does not include a controversial provision that would have required women to register for the draft. In March, Defense Secretary Ashton Carter opened all military combat positions to women, noting he wanted to ensure these roles were based on ability and not gender. 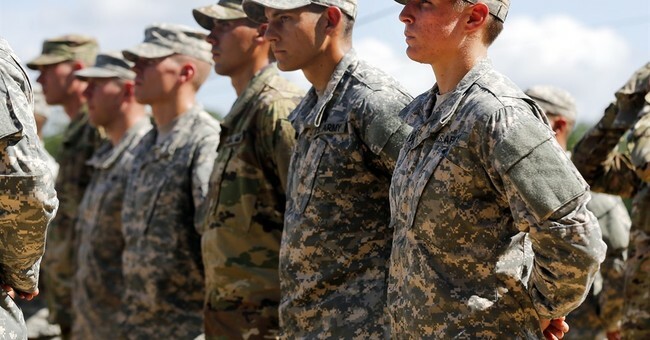 His decision sparked discussions of requiring both genders to register for a draft. Lawmakers like Sen. Ben Sasse campaigned hard against the provision, arguing it was ushering in unnecessary culture wars. He called the final NDAA (sans draft) common sense. "Defense bills are common in Washington but, this year, the big story is that both sides will put national security ahead of unnecessary culture-warring," said Sasse in a statement on Wednesday. "This is a victory for common sense. It’s encouraging to see Congress do its work instead of jumping into a fight about drafting our mothers, sisters, and daughters when the military isn’t demanding an end to our all-volunteer fighting-force. Republicans and Democrats should be able to agree that keeping our defenses strong is more important than needlessly scoring points on divisive issues." Instead of the controversial provision, the 2017 NDAA asks for a review of the entire Selective Service System, to determine the effectiveness of a military draft. Congress will vote in the next few days.